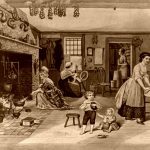 The main reason women did not go to college in the early 19th century was because most people believed that, because women became wives, mothers or teachers of young children, they did not need to go to college. But the founders of Oberlin College knew that women could become even better wives, mothers and teachers if they were able to take college classes. One of the first American women to receive a Bachelor of Arts degree, which she earned at Oberlin College. 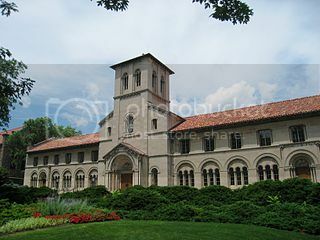 Oberlin College was founded in 1833 in Oberlin, Ohio, and became the first college in the United States to admit women as well as men. There were four courses of study: the Female, Teachers, Collegiate and Theological Departments. Women were allowed to study in the Female or Teachers Department. However, in 1837 four women – Mary Kellogg, Mary Caroline Rudd, Mary Hosford and Elizabeth Prall – entered the college degree program, the Collegiate Department. All but Kellogg graduated in 1841 and received the first Bachelor of Arts degrees earned by women in the United States. Kellogg, who had left school for lack of funds, later returned to Oberlin after marrying James Harris Fairchild, a future president of Oberlin College. At the beginning, a specific course of study was prescribed for ladies, extending through four years, after a good common school education, and was so arranged as to run parallel with the course for young men in the Preparatory and Collegiate Departments, omitting some studies and adding others. The ancient languages are omitted, with the exception of two years’ study of the Latin; French and some other branches are added. The Ladies’ Course embraces all the mathematics with one slight exception, and the entire course of natural science, philosophy and general literature pursued by the college students [the Collegiate Department]. This course requires about a year more time than is devoted to study in the best female seminaries. In all, forty-seven ladies have completed the full College Course of study here, and two hundred and forty-nine have completed the Ladies Course. The number of graduates represents very inadequately what has been done in the way of female education. Large numbers have enjoyed the advantages of the school for a single year or more, before entering upon the duties of life, and have been permanently helped thereby. The average proportion of young ladies to the entire number of students is, at present, about forty per cent. The whole number the first year was forty-four; the present year about five hundred. The attempt to bring the two sexes together, in a school for higher education, was regarded, a quarter of a century ago, as a hazardous experiment. Has the experiment been fairly tried? Has sufficient time elaspsed to judge of the results? Have the circumstances of Oberlin been so peculiar as to preclude the application of our experience to other cases? Oberlin’s progressive history began during the antebellum period. Although Oberlin was not the first college to admit blacks, it was the first to admit students without respect to race as a matter of official policy. In 1835 it became the first predominantly white collegiate institution to admit African American male students and two years later it opened its doors to all women, becoming the first coeducational college in the country. Oberlin’s commitment to the abolition of slavery made it a welcoming and safe environment for 19th Century black students. As part of the Underground Railroad, Oberlin’s intricate network of back road routes and safe houses, the college and town provided refuge for fugitive slaves bound for Canada. In 1858, students, faculty and residents of Oberlin and the nearby town of Wellington rescued a runaway slave John Price from U.S. marshals, and transported him to freedom in Canada. The incident which became known as the Oberlin-Wellington Rescue, received significant press coverage. After the Civil War and emancipation, Oberlin’s black graduates played influential roles in establishing other black colleges and serving on their faculties. Oberlin continued to be an important institution for African Americans for the next century. By 1900, one third of all black professionals in the U.S. had undergraduate degrees from Oberlin. In August 1843, just after she turned 25, Lucy Stone traveled by train, steamship and stagecoach to Oberlin. She entered the college believing that women should vote and assume political office, that women should study the classic professions, and that women should be able to speak their minds in a public forum. But in those days, women were not allowed to speak in public. Almost thirty when she completed her education, Stone’s career prospects seemed dim in this era when virtually no professions were open to women. A year after she graduated, Lucy Stone was hired as an agent of the American Anti-Slavery Society. In this paid position, she traveled giving speeches on abolition. She soon became a well known speaker against slavery. She lectured all over the country, and many men and women came to hear her. 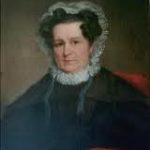 When her women’s rights speeches created too much controversy within the Anti-Slavery Society – was she diminishing her efforts on behalf of the abolition cause? 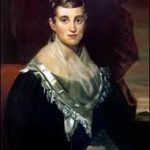 – she arranged to separate the two ventures, speaking on weekends on abolition and weekdays on women’s rights, and charging admission for the speeches on women’s rights. In three years, she earned $7,000 with her women’s rights talks. In education, in marriage, in religion, in everything disappointment is the lot of women. It shall be the business of my life to deepen that disappointment in every woman’s heart until she bows down to it no longer. Funds from the sale of a medallion of John Brown, leader of the rebellion at Harpers Ferry, and a bust of Colonel Robert Gould Shaw, commander of the 54th Massachusetts African American Infantry of the Union Army, enabled Lewis to move Rome in 1865. Lewis continued her studies of neoclassical forms in Italy where she made Forever Free, her most famous work. Lewis’ last major work, Death of Cleopatra, was presented at the Centennial Exposition in Philadelphia in 1876. A minister and reformer, Antoinette Brown Blackwell, an 1847 graduate, also completed the courses in the Theological Department in 1850. The faculty had allowed her to attend the lectures and to accept invitations to preach, but she was not granted a theology degree. 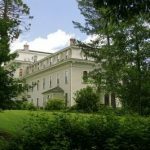 No religion would ordain her because of her gender, but she was allowed to serve as minister at a Congregationalist church in South Butler, New York for four years. 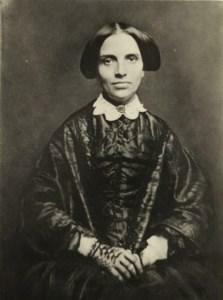 Because the Congregational clergy were reluctant to ordain a woman as a minister, Blackwell finally became the first ordained woman minister in the United States on September 15, 1853, when she was ordained by a socially radical Methodist minister named Luther Lee, a passionate and vocal advocate of women’s right to theological education and leadership. Unfortunately, Luther Lee’s unqualified support was not enough to provide Blackwell with a sustainable lifestyle at South Butler. In the meantime she had no one to counsel her in a deepening emotional crisis, and growing religious doubts increasingly troubled her. After just ten months, she resigned from the South Butler church in July 1854. Blackwell married and had a family, and became heavily involved in women’s struggle for equality and the right to vote. Oberlin later granted to Blackwell two honorary degrees: a M.A. (Master of Arts) in 1878 and a D.D. (Doctor of Divinity) in 1908. An 1862 Oberlin graduate, Mary Jane Patterson had the distinction of being the first African American woman to receive a Bachelor of Arts degree. She was the oldest of Henry Irving Patterson and Emeline Eliza (Taylor) Patterson’s children. Her father worked as a bricklayer and plasterer until he gained his freedom in 1852. In 1856, the family moved to Oberlin, which already had a large community of black families; some were freed slaves and some were fugitive slaves. 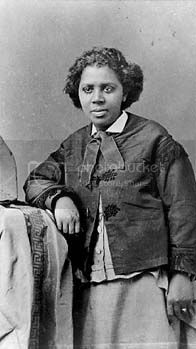 In 1865, Patterson became an assistant to Fanny Jackson Coppin at Philadelphia’s Institute for Colored Youth. From 1869 to 1871 Patterson taught in Washington, DC at the Preparatory High School for Colored Youth, and served as the school’s first black principal. During her administration, the school grew from less than 50 to 172 students, Preparatory High School was dropped from the name, high school commencements were initiated, and a teacher training department was added to the school. Patterson was also a humanitarian and was active in many organizations. She was part of the Colored Woman’s League of Washington, which was committed to the “racial uplift” of colored women. While in DC, Patterson lived with her sisters, Emma and Chanie, and her brother John at 1532 Fifteenth Street Northwest. In the Late 1880s Patterson’s parents came to live with them due to financial difficulties. Neither Mary nor her sisters ever married. Black and white Oberlin women were pioneers in opening up many professions that had previously been closed to women. As educators and reformers, Oberlin women helped make the world a better place. Dr. Delphine Hanna received a medical degree from the University of Michigan, and became the first instructor in Physical Education at Oberlin College in 1885. Hanna established the first four-year curriculum for a Bachelor’s degree in physical education for women in 1902. Completing the full program in the Female Department at Oberlin, Sarah Jane Woodson Early graduated in 1856, among the first African American women to graduate from college. In 1858, Early was hired at Wilberforce College in Wilberforce, Ohio, a school founded by the African Methodist Episcopal Church and the first college to be owned and operated by African Americans. During the Civil War, Wilberforce closed for nearly a year and welcomed Early back to its faculty as an English and Latin professor when it reopened. After her years of teaching at Wilberforce, she left to teach at an African American girls’ school in North Carolina in 1868. There she met and married Jordan Winston Early, one of the pioneers of African Methodism in the West and South. For the next twenty years of her career, Early taught wherever her husband preached. Her resume included teaching in several community schools, serving as the principle in four cities and giving over 100 lectures in five states. In addition, she was the national superintendent of the African American division of the Women’s Christian Temperance Union. On July 17, 1992, Oberlin held its first community event specifically focusing on the history of its African American residents. Presented in conjunction with the annual summer cultural celebration called Oberlin Heritage Days, and organized by local downtown merchant and current Oberlin artist-in-residence Adenike Sharpley, the event took place in central Tappan Square. The festival continued annually for three years, and, in 1995, Heritage Days grew to include the national Juneteenth festival.